We are back at home and winding down from our first wave of tradeshows in 2019! Both shows were smooth sailing and we made some wonderful new connections, as well as ran into a few familiar faces. IPPE was held from February 12-14 down in Atlanta, Georgia, and Seafood Processing took place from March 17-19 up in Boston, Massachusetts. Both booths consisted of 200 square feet of banding and linerless labeling information and equipment, including the ATS US-2100-R and the Ravenwood Nobac 500. Attendees had the opportunity to stop and watch some short clips we put together highlighting the benefits and advantages of linerless and banding, or speak with one of our trusted advisors on site about any questions they may have had. We also had tons of samples displayed for attendees to see and feel for themselves, as well as live demonstrations of both machines we brought to the show. Our team just loves seeing those wide eyes and dropped jaws when others see how quick and easy the machines are to use and how secure and sustainable the finished products are! So much fun was had at IPPE! 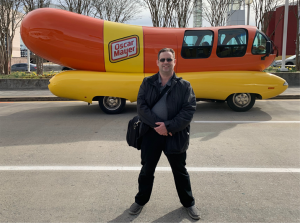 Our Service Manager, Sean Tobin, found himself a fun new ride – the Oscar Mayer Wienermobile. Of course, he had to leave that in Atlanta, but the show was kind enough to let him take a quick photo with the jumbo-sized vehicle. Joining Sean at the show were Regional Sales Rep., Kristyn Shaner, and VP of Operations, Ryan Perlman. They made many new connections and had a great time showing others what linerless labeling and banding are all about! A few weeks later, Sean Tobin, Tara Utain, and Ryan Perlman packed their bags and flew up north to New England for Seafood Processing. They executed countless runs of the ATS US-2100 and Ravenwood Nobac 500 and even saw a few demonstrations themselves, like the chef demos in the Demonstration Theater, or one of our favorites – the Oyster Shucking Competition! With more than 1,320 exhibitors from 49 countries, this event was one to remember. While we unpack from our first two shows of the year, we’re also taking some time to reflect on the success of both events. We cannot wait to be back at these shows next year! Next one “on deck” is East Pack 2019 in mid-June, which is being held at the Jacob K. Javits Convention Center in New York City. We had a great first quarter in the tradeshow world and we would like to thank all of the meat, poultry, processing, and seafood connections we made and all of those who took the time to visit our booths.  Wexler Packaging Products loves to expand our knowledge and exposure to the industries, and we are looking forward to turning those new connections into long-lasting relationships!